Naples and Hartford in Season: What do we want? Gun control. When do we want it? Now. What do we want? Gun control. When do we want it? Now. 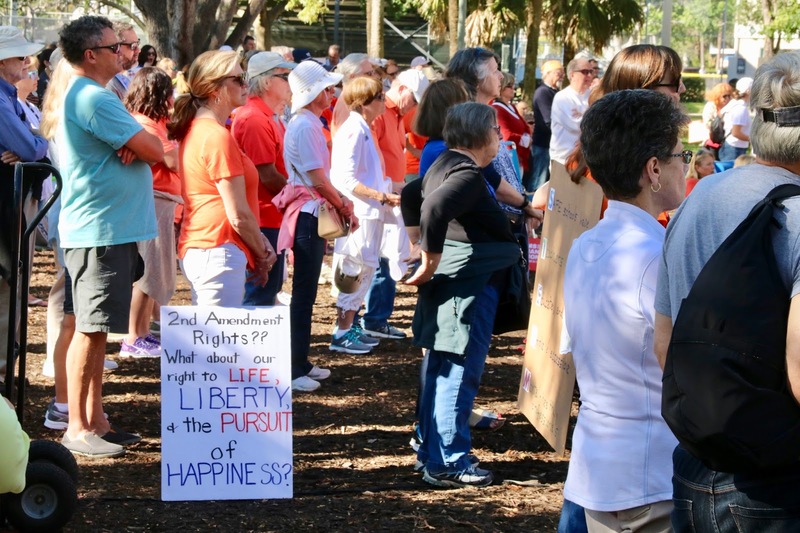 People of all ages and stripes walked yesterday in Naples' Cambier Park's March for Our Lives. Most of the speakers after the march were high school students. 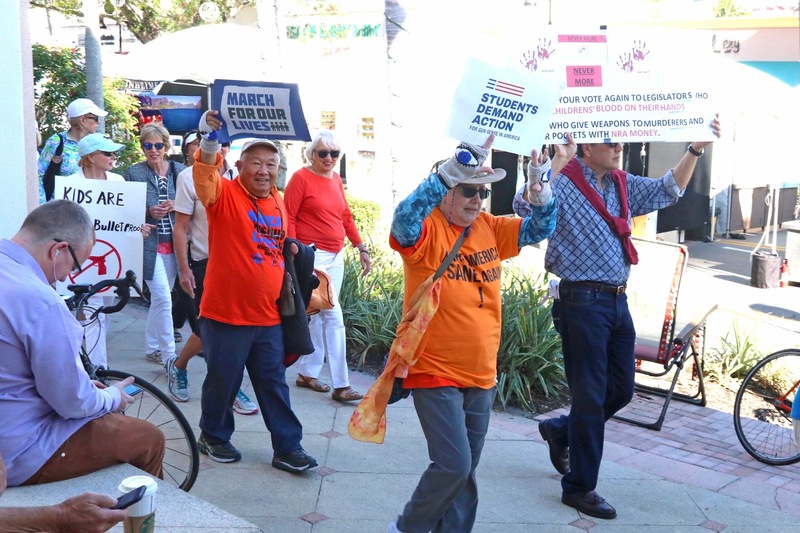 They began with 17 different students taking the microphone, reading the name of a person murdered at Marjorie Stoneman Douglas High School in Parkland, Florida, and then respectfully banging a bell. 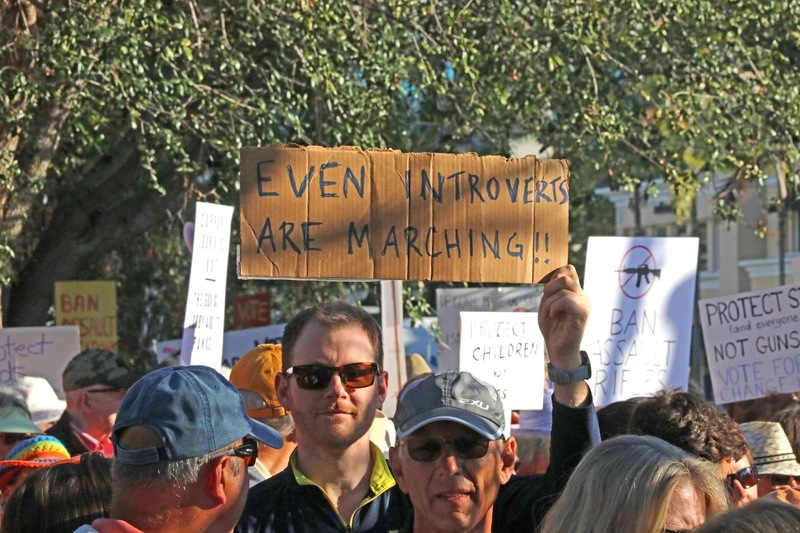 "Introverts are marching" - but they only have quiet unobtrusive signs. From this side of the ocean it seems surreal that there could even be a debate about gun control. One wonders if your country will change. What a great turnout. I am hoping that this really is a tipping point. 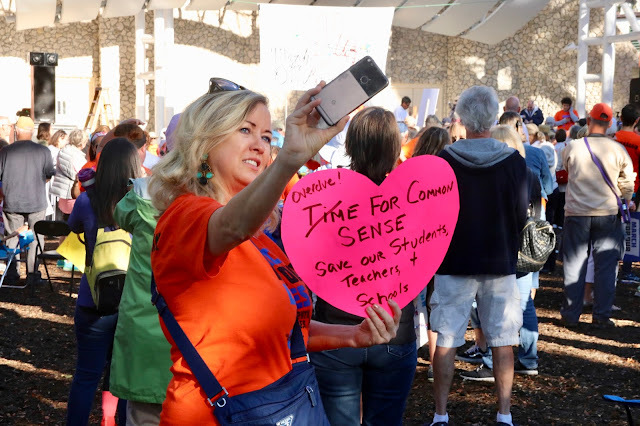 And photos from the demonstration in Washington ended up on the front pages. 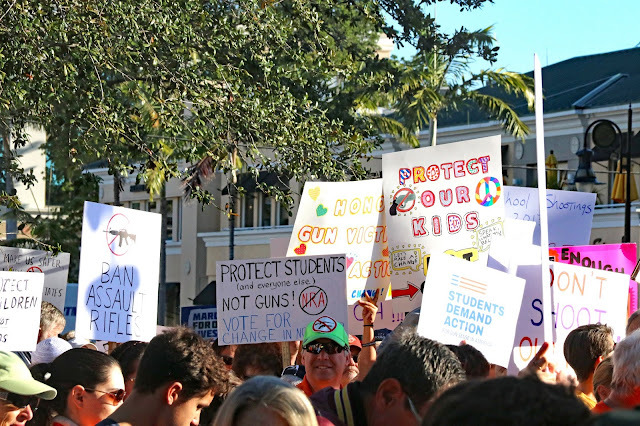 It's either up to lawmakers to change things now, because this young generation is going to change it regardless. Good to see! Maybe this generation can finally do the right thing. The signs say it all. 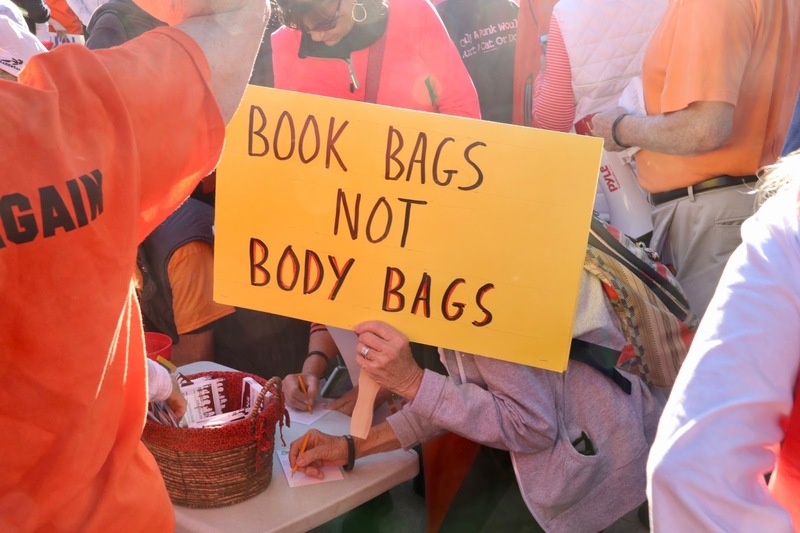 I couldn't believe that nothing changed after Columbine. Then all the subsequent slaughters. I hope these kids can make something happen. 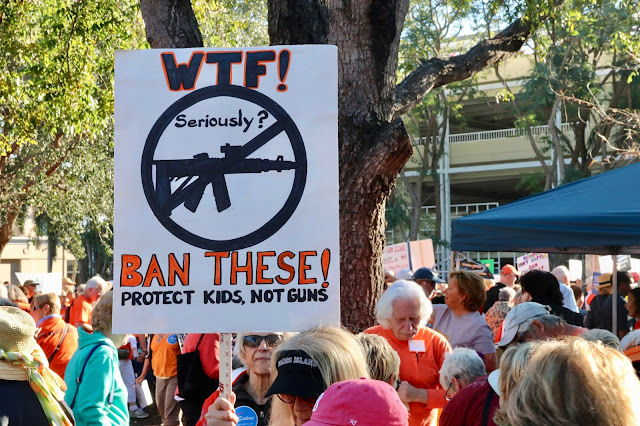 The NRA's power and congressional inaction are criminal.